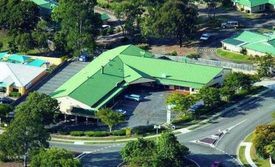 29 Commercial Real Estate & Properties in Helensvale are listed in 6 categories. We have 10 OfficesSale & Lease , 8 Retail ShopsSale & Lease , 7 Industrial Warehouses Sale & Lease , 2 Development LandsSale & Lease , 1 Other Commercial PropertiesSale & Lease and 1 Medical and Consulting PropertiesSale & Lease . Suite 3 101m2 Ground Floor Office Suite 4 104m2 Ground Floor Office Suite 6 202m2 Ground Floor First Floor Office Warehouse Suite 7 212m2 Ground Floor First Floor Office Onsite designated Car parks with additional all day street parking Open Plan Welcoming reception areas Multiple large executive offices meeting rooms Expansive boardrooms Own Male Female toilet facilitates Each tenancy has its own kitchenette Archive rooms Air conditioning throughout both levels Abundance of natural light Security Alarm Located along one of the Gold Coast most Highly exposed Commercial streets. 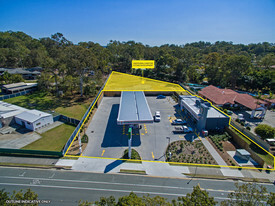 Strategically positioned directly parallel with the M1 Pacific Motorway, 62 62 Siganto drive Helensvale is exposed to over one hundred thousand cars everyday and takes advantage of surrounding major operators such as McDonald's, Caltex Fuel Station, Zarraffa's Coffee, Movie World, Top Golf Wet 'n' Wild Theme Parks. Approx Disclaimer: Ray White has not independently checked any of the information we merely pass on. We make no comment on and give no warranty as to the accuracy of the information contained in this document which does not constitute all or any part of any offer or contract by the recipient. Prospective purchasers / lessees must rely on their own enquiries and should satisfy themselves as to the truth or accuracy of all information given by their own inspections, searches, inquiries, advices or as is otherwise necessary. No duty of care is assumed by Orchid Avenue Realty trading as Ray White Surfers Paradise Commercial divisions toward the recipient with regard to the use of this information and all information given is given without responsibility. Immaculate Office Space With Easy Access To M1 Motorway $1,020pw + GST Including ..
212m2 Office space over two levels with small warehouse Ground floor Large open plan front entrance with kitchen Separate offices, storage Male and female amenities Air conditioned throughout First floor Open plan area, fully air conditioned Board room Don't miss this opportunity! Approx Disclaimer: Ray White has not independently checked any of the information we merely pass on. We make no comment on and give no warranty as to the accuracy of the information contained in this document which does not constitute all or any part of any offer or contract by the recipient. Prospective purchasers / lessees must rely on their own enquiries and should satisfy themselves as to the truth or accuracy of all information given by their own inspections, searches, inquiries, advices or as is otherwise necessary. No duty of care is assumed by Orchid Avenue Realty trading as Ray White Surfers Paradise Commercial divisions toward the recipient with regard to the use of this information and all information given is given without responsibility. Multiple Vacancies - Vendor Urges All Offers Be Submitted From $320/m2 + GST includ..
55m2 85m2 of office space available Multiple offices and boardrooms Great parking and easy M1 access Exclusive amenities Enquire today! Approx Disclaimer: Ray White has not independently checked any of the information we merely pass on. We make no comment on and give no warranty as to the accuracy of the information contained in this document which does not constitute all or any part of any offer or contract by the recipient. Prospective purchasers / lessees must rely on their own enquiries and should satisfy themselves as to the truth or accuracy of all information given by their own inspections, searches, inquiries, advices or as is otherwise necessary. No duty of care is assumed by Orchid Avenue Realty trading as Ray White Surfers Paradise Commercial divisions toward the recipient with regard to the use of this information and all information given is given without responsibility. 104m2 office space Large open plan area with one office Large boardroom Male and female toilets and kitchenette Air conditioning in place One allocated car park and ample overflow car parking Owner will consider all genuine offers Approx Disclaimer: Ray White has not independently checked any of the information we merely pass on. We make no comment on and give no warranty as to the accuracy of the information contained in this document which does not constitute all or any part of any offer or contract by the recipient. Prospective purchasers / lessees must rely on their own enquiries and should satisfy themselves as to the truth or accuracy of all information given by their own inspections, searches, inquiries, advices or as is otherwise necessary. No duty of care is assumed by Orchid Avenue Realty trading as Ray White Surfers Paradise Commercial divisions toward the recipient with regard to the use of this information and all information given is given without responsibility. Split Level Office With Warehouse $810 per week + GST + Out..
183m2 of multi use office/warehouse space Ground floor 96m2 , 1st Floor 87m2 Multiple offices with furniture included Reception areas, Full kitchen and amenities 3 allocated car spaces Must inspect, this will be leased! Approx Disclaimer: Ray White has not independently checked any of the information we merely pass on. We make no comment on and give no warranty as to the accuracy of the information contained in this document which does not constitute all or any part of any offer or contract by the recipient. Prospective purchasers / lessees must rely on their own enquiries and should satisfy themselves as to the truth or accuracy of all information given by their own inspections, searches, inquiries, advices or as is otherwise necessary. No duty of care is assumed by Orchid Avenue Realty trading as Ray White Surfers Paradise Commercial divisions toward the recipient with regard to the use of this information and all information given is given without responsibility. Commercial Office In Commercial Hub $500 per week incl o/g + ..
Funky Office overlooking Helensvale Plaza 2 Offices and open plan area with bathroom and kitchen Upstairs position with a large balcony 1 secure car park and plenty of curb side shopping centre parking available Great access to the M1, Helensvale Plaza, cafes and restaurants. Helensvale Qld, Retail Shop 3 For Lease (cheap Rent! Be Quick!) With A Cold Room Gross rent $2100 per mont.. Fantastic opportunities for experienced retailers to join our Neighbourhood shopping centre at Helensvale. Ten shops in Centre Convenient layout allows pedestrians easy access to the centre Surrounded by a rapidly growing residential community Incentives available for the right tenant. Plenty of parking spaces (52 car parks) Shop3 for lease 77m2 Cold Room Price: Gross rent $2100 per month +GST included outgoings Inspection: By appointment Address: Shop3/107 Mildura Drv Helensvale QLD 4212 Contact: Conan Li 0404 617 767/07 3373 9887 Email: conan.li@yong.com.au Disclaimer: We have in preparing this information used our best endeavours to ensure that the information contained herein is true and accurate, but accept no responsibility and disclaim all liability in respect of any errors, omissions, inaccuracies or misstatements that may occur. Prospective purchasers should make their own enquiries to verify the information contained herein. Helensvale Qld, Retail Shop 2 For Lease (cheap Rent! Be Quick!) Gross rent $2100 per mont.. Fantastic opportunities for experienced retailers to join our Neighbourhood shopping centre at Helensvale. Ten shops in Centre Convenient layout allows pedestrians easy access to the centre Surrounded by a rapidly growing residential community Incentives available for the right tenant. 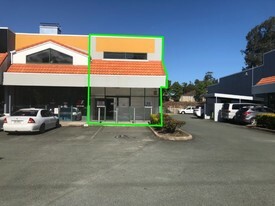 Plenty of parking spaces (52 car parks) Shop2 for lease 77m2 Price: Gross rent $2100 per month +GST included outgoings Inspection: By appointment Address: Shop2/107 Mildura Drv Helensvale QLD 4212 Contact: Conan Li 0404 617 767/07 3373 9887 Email: conan.li@yong.com.au Disclaimer: We have in preparing this information used our best endeavours to ensure that the information contained herein is true and accurate, but accept no responsibility and disclaim all liability in respect of any errors, omissions, inaccuracies or misstatements that may occur. Prospective purchasers should make their own enquiries to verify the information contained herein. Fantastic opportunities for experienced retailers to join our Neighbourhood shopping centre at Helensvale. Ten shops in Centre Convenient layout allows pedestrians easy access to the centre Surrounded by a rapidly growing residential community Incentives available for the right tenant. Plenty of parking spaces Shops from 30 91m2 Price: Contact agent Inspection: By appointment Address: 107 Mildura Drv Helensvale QLD 4212 Contact: Conan Li 0404 617 767/07 3373 9887 Email: conan.li@yong.com.au Disclaimer: We have in preparing this information used our best endeavours to ensure that the information contained herein is true and accurate, but accept no responsibility and disclaim all liability in respect of any errors, omissions, inaccuracies or misstatements that may occur. Prospective purchasers should make their own enquiries to verify the information contained herein. On Offer: Suitable for retail / service providers / boutique office Capitalise on local and M1 traffic Ample on grade parking Illuminated sign box + pylon signage provisions Grease trap connectivity and exhaust access Hollywood Plaza is a neighbourhood retail centre fronting the M1 motorway For more information or to arrange an inspection please contact listing agent Tanaka Jabangwe from Ray White Commercial GC South. 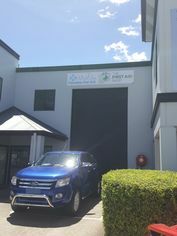 Leased By Darryn Forbes $3,570 + GST (Outgoings I..
380m2 industrial warehouse Includes 100m2 mezzanine office Includes 40m2 carpeted ground floor office Plenty of warehouse area Rear roller door for ventilation. Secure your position today All offers will be submitted approx Please contact the listing agent for more details by clicking on the link above. Disclaimer: Ray White has not independently checked any of the information we merely pass on. We make no comment on and give no warranty as to the accuracy of the information contained in this document which does not constitute all or any part of any offer or contract by the recipient. Prospective purchasers / lessees must rely on their own enquiries and should satisfy themselves as to the truth or accuracy of all information given by their own inspections, searches, inquiries, advices or as is otherwise necessary. No duty of care is assumed by Orchid Avenue Realty trading as Ray White Surfers Paradise Commercial divisions toward the recipient with regard to the use of this information and all information given is given without responsibility Approx Please contact the listing agent for more details by clicking on the link above. Disclaimer: Ray White has not independently checked any of the information we merely pass on. We make no comment on and give no warranty as to the accuracy of the information contained in this document which does not constitute all or any part of any offer or contract by the recipient. Prospective purchasers / lessees must rely on their own enquiries and should satisfy themselves as to the truth or accuracy of all information given by their own inspections, searches, inquiries, advices or as is otherwise necessary. No duty of care is assumed by Orchid Avenue Realty trading as Ray White Surfers Paradise Commercial divisions toward the recipient with regard to the use of this information and all information given is given without responsibility.